I want to say a very big thank you to the women's president in the person of bolatito ,the vice president Miriam ezeka and Pastor Gloria okaiman for their effort in the women’s department of this Blog. Although I have been expecting mail from them but nothing came up so I decided to step in myself but if they show interest I shall step aside because that’s their office. Thank you. This is the First Women Intercessor’s meeting and I return all the glory to God for what He is going to do, for by strength shall no man prevail. 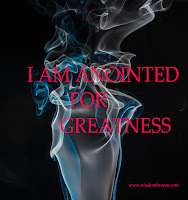 Lord Jesus we the women of wlcmwisdom’s blog worship and magnified your name for your awesome Power and Might in our lives. As we gather together in this place, let your Spirit leads us in everything we will do, please pass through every word to instruct, bless, heal, deliver and restore. I cover every women, their husband and children with the blood of Jesus. For I pray with thanksgiving in Jesus’ name. Amen. I welcome you all, the single ladies, married women, those that have children and those seeking for the fruits of the womb. Can you now place your hand on your chest and say this to yourself “and it shall come to pass before I call, God will answer and while I am yet speaking he will hear. In Jesus’ Name. Amen. If you have done that, just believe and you will be established, for life and death and in the power of the tongue. It is the will of God that none shall be barren in the land but what is happening now has caused a lot of people to doubt God’s power and authority. They ask questions that make it look as if God is a liar. Am here to tell you that God is not a man that he should lie, neither a son of man that he should repent. 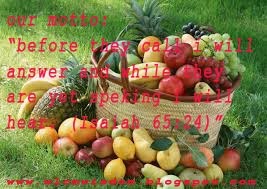 His covenant will He not break nor alter a thing that is gone out of His mouth. His promises are yes and amen. When God’s word or prophecies does not come to fulfillment in your life, take a step back and consider your ways. Check if you’ve broken the hedge… for it is written and whoso breaketh an hedge a serpent shall bite it (Ecclesiastes 10:8) but wisdom is profitable to direct. Lord Jesus I commit all the women into your hand, I plead for mercy, let your precious blood that speaketh better things than the blood of Abel wash and cleanse them from all their sins. for your Name sake please blot out our transgression.create in us a clean heart and renew a rightful spirit within us. in Jesus name. Amen. Jesus I thank you for all the pregnant women all over the world that worship you in spirit and in truth, and those that has not known you, I thank you because I know that will be arrest by your mighty power. those looking for the fruits of the womb and believing, I worship you for visiting them, because with you all things are possible. I cover every pregnant women with the blood of Jesus. i subdue forces fighting against pregnancies. I pray against every spirit of miscarriages. I take authority over every still birth by the Blood of Jesus. I claim victory over powers that say no to safe delivery. Enemies of fruitfulness shall swim in confusion throughout the nine month for every women pregnant. I take authority against every assigned evil nurses and doctors against pregnant women. the mother shall deliver successfully and the baby will live to declare the works of the lord in the land of the living. I sealed this prayer with the Blood of Jesus. for I pray with thanksgiving in Jesus name. Amen. therefore thus saith the LORD, who redeemed Abraham(please mention your name), concerning the house of Jacob, Jacob shall not now be ashamed, neither shall his face now wax pale. but when he shall seeth his children, the work of mine hands in the midst of him, they shall sanctify my name, and sactify the Holy one of Jacob, and shall fear the God of Israel. 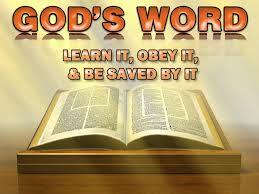 they also that erred in the spirit shall come to understanding, and they that murmured shall learn doctrine. God bless you too chichi! Amen to your prayers. Lucy I sent a mail probably last week but I didn't see it. please i didn't receive it. I checked my inbox and spam but I've seen nothing. please kindly resend it. thank your for your effort and contribution. God will bless you. There is nothing to hard for God to do. God is great, he is not a man. you can say that again. Temitope Akinnagbe. you are highly favour. Amen. OH! WHOM HAVE I SLANDER????? WHAT WILL YOU TITLE THIS TEACHING???? ?